Glaucoma is one of the main causes of blindness throughout the world. It is characterized by death of the retinal ganglion cells, which is associated with loss of the axons making up the optic nerve. Recent studies have demonstrated support for the classification of glaucoma as a degenerative disease of the central nervous system (CNS), leading researchers to look at identifying neuroprotection strategies for the treatment of this disease, like those used for other degenerative diseases of the CNS. 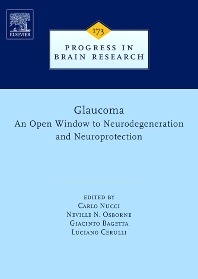 This book will provide an in-depth examination of the most recent findings regarding glaucoma, including risk factors, diagnosis, clinical monitoring, treatment, and above all, the need for treatment based on the concept of neuroprotection. A large part of the book is devoted to research related to this new approach to the treatment of glaucoma.